Styled with gonzalo longsleeve . 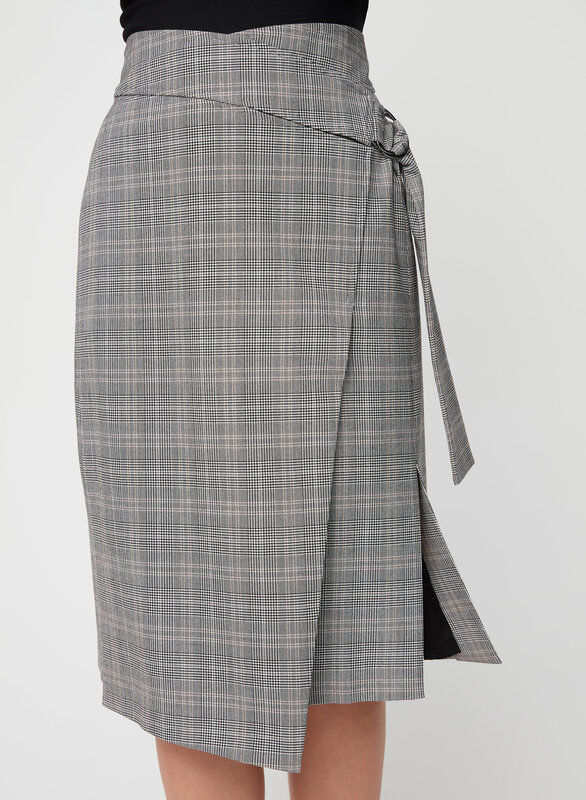 Italian cashmere and wool blend yarn makes this wrap skirt perfectly light and warm. 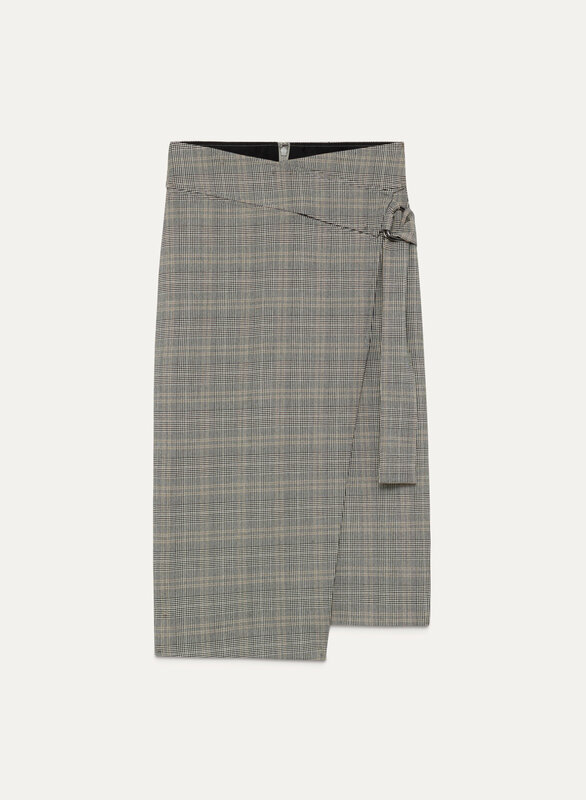 The fabric has a hint of stretch, and is brushed to give it a flannel-like texture. Bought two- need I say more? Super flattering fit, very nice fabric, warm, perfect length. 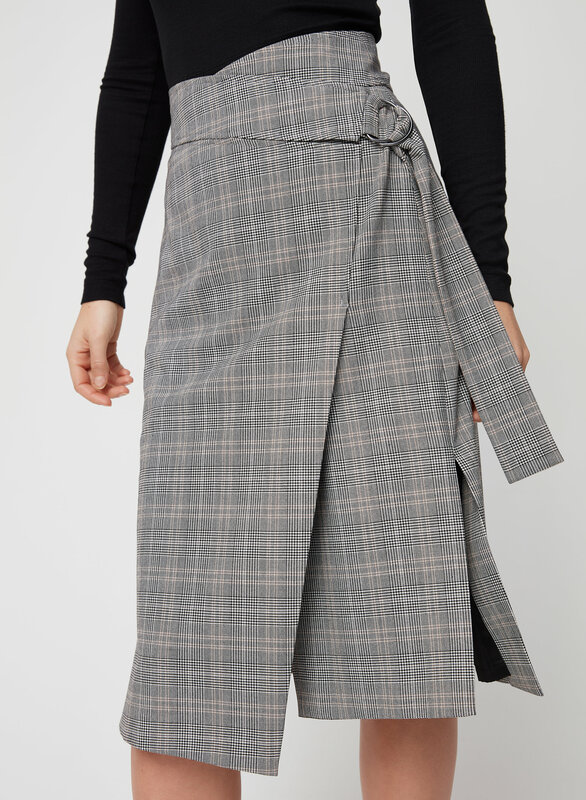 The perfect skirt for the office. Ordered navy, then ordered gray too!